A big fish is obtainable through fishing. 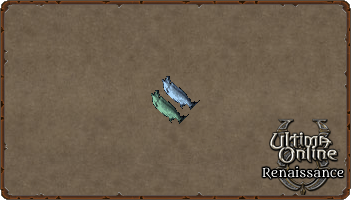 A fisherman can begin fishing up big fish at 95.0 skill. 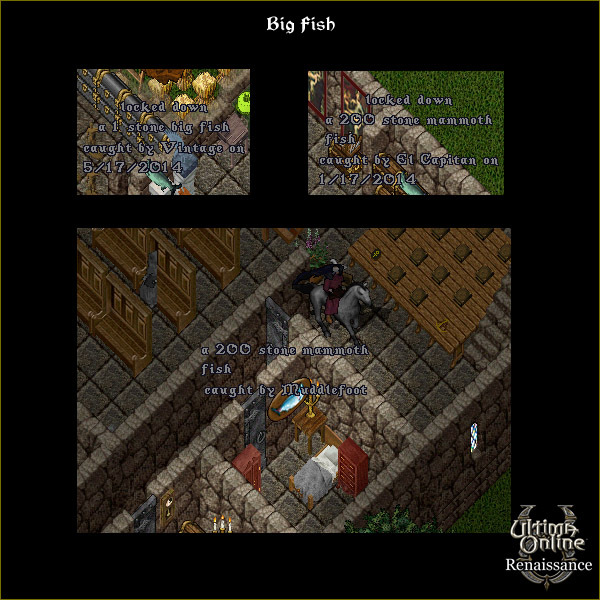 Big fish are not common and will only be obtained after killing a fished up sea serpent or deep sea serpent and looting the big fish from its corpse. A big fish will range in weight from 1 to 200 stones. Big fish with low weight and those with higher weight are more uncommon. Using a taxidermy kit on a big fish will allow you to mount the fish on a plaque for decorative purposes. Player run fishing tournaments judge winners on the weight/frequency/color/etc of big fish. Outside of player run tournaments and decoration big fish hold very little value.